Microsoft and Facebook have announced a major new partnership, in which Facebook's social data is being added to Microsoft Bing to improve the search engine's search results. Bing now displays relevant information on what has been 'Liked' by your Facebook friends in an optional module displayed in its search results. 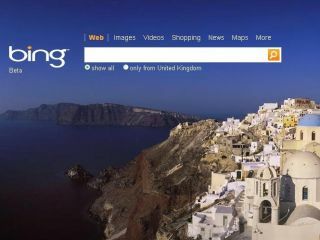 Bing also offers Facebook-powered people search results. These new features will only work if you are logged into your Facebook account while searching using Microsoft Bing. They are being introduced immediately, with the full service being rolled out over the coming months. The key idea behind the new partnership is to offer a truly 'personalised' search function via Bing, relevant to your friends and families likes on Facebook. Microsoft claims that around four per cent of all queries are people searches, which equates to around a billion queries per month. Microsoft is introducing a Facebook popup, which will appear if you are logged into Facebook or have an active Facebook cookie – giving the user the options: Learn More or No Thanks. This will pop-up the first five times you visit Bing. If you choose to ignore the pop-up each time, then the new Facebook modules feature will be automatically turned on. If you then want to turn it off you will have to remove Bing from your Facebook account.